Scan photos and 3D objects with amazing clarity and detail. 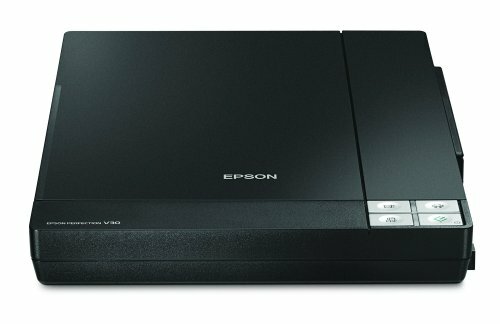 The value priced Epson Perfection V30 makes it easier than ever with 4800 dpi optical resolution and a host of automatic features. With the scanner remarkable resolution, you can easily create extraordinary images. And it offers easy setup plus one touch scanning. So, whether you choose to archive important documents or your favorite photos, you can be up and running in no time. Bring those faded color photos back to life effortlessly with the Perfection V30. This versatile performer even includes a high-rise lid for scanning books and other 3D objects. With an innovative LED light source, the Perfection V30 provides fast scans with no warmup time.Power Requirements: 100-120V AC; 50-60Hz.